Arrr! Solve the riddles of old captain Flint and find the pirate treasure! Arrr, matey! 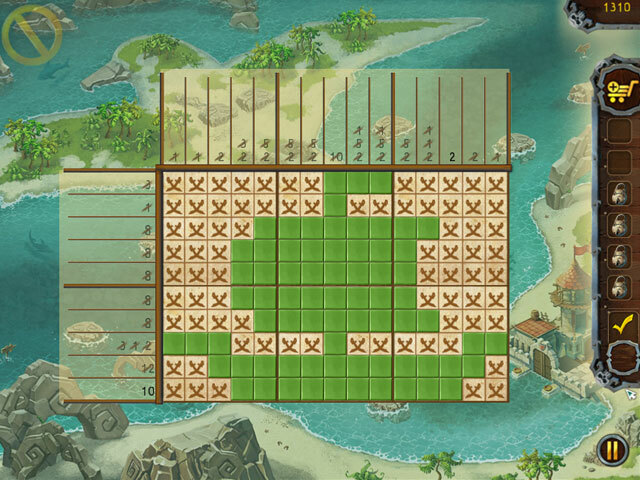 Become a terror of the Caribbean with Fill and Cross Pirate Riddles! 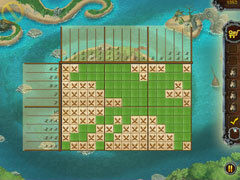 In this unique griddler game, you will explore 6 different islands and solve 120 fun and challenging puzzles. Through more than 4 hours of gameplay, all set to jolly pirate melodies, it's up to you to find old Captain Flint's treasures! Go ahead and hoist the Jolly Roger! Fair winds to ye, sea dog! -Arrr! Go ahead! Find the pirate treasure! 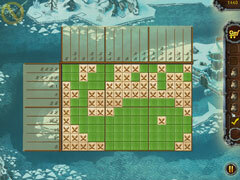 -More than 4 hours of gameplay set to jolly pirate melodies. -"Jolly Roger", "Treasure Island", "Terror of the seas" and many other great trophies! -Fair winds to ye, sea dog!